Made from .188" thick 5052 Aircraft Grade Aluminum. Stainless steel trap door to access drain plug and oil filter. Includes: New bolts and concave washers. 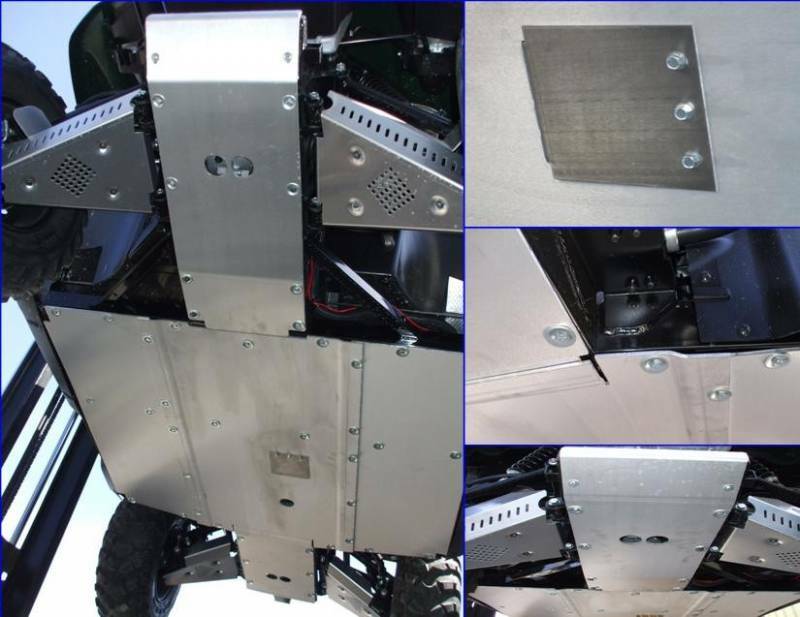 Protect the under side of your Teryx with this skid plate set. 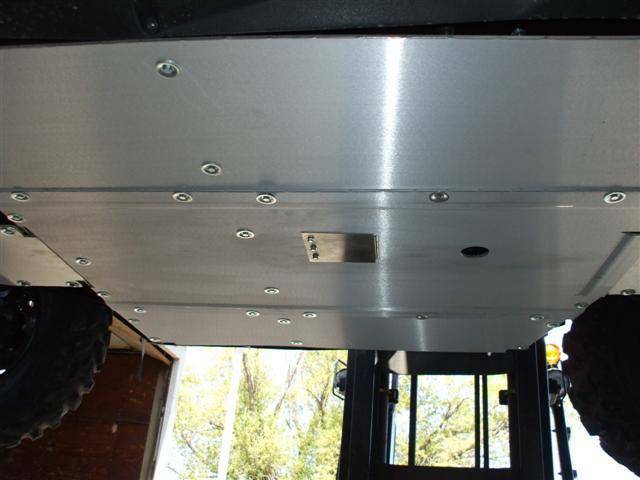 These are CNC cut from .188" thick 5052 Aircraft Grade Aluminum (not .125 or .160 thick like others on the market). We have included a stainless steel trap door for access to both your oil drain and the oil filter. 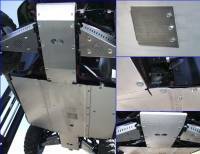 Others on the market require you to remove your skid plate just to change the oil filter. As we all know after removing bolts from riv nuts more than a couple times they will spin and you will be involved in a job you will wish you would not have started. Our trap door will eliminate this problem. Our concave washers are similar to factory washers, and they recess the heads of the bolts. This protects the hex heads and allow your machine to slide over obstacles. 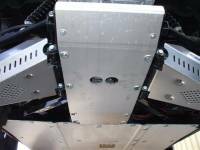 Note: CV Boot/A-arm guards in the picture are sold separately, see #10041.